But but I always have something to share with all you kbeauty addicts. 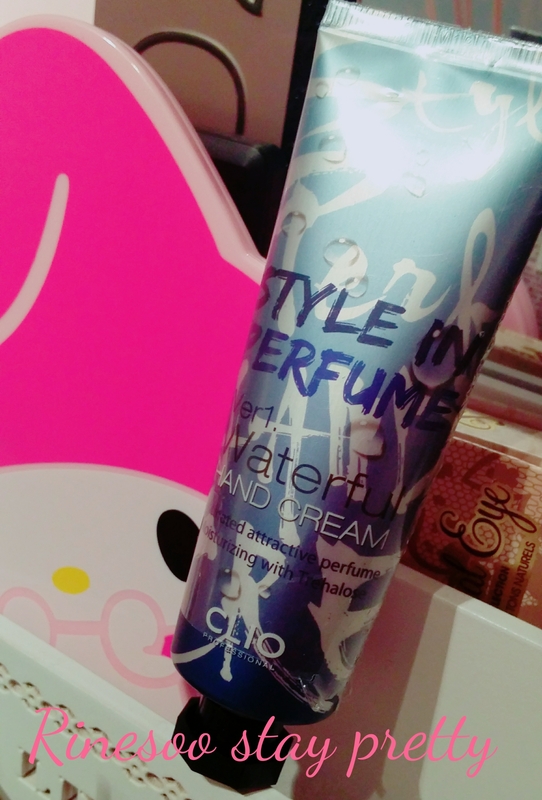 Today I would like to share my experience with Clio style in perfume ver1 waterful hand cream. As you may know Clio is known for their wonderful gel liners and “Kill” line and for always having wonderful and very popular female model. I discovered this brand when Sandara was chosen as the brand’s new face. 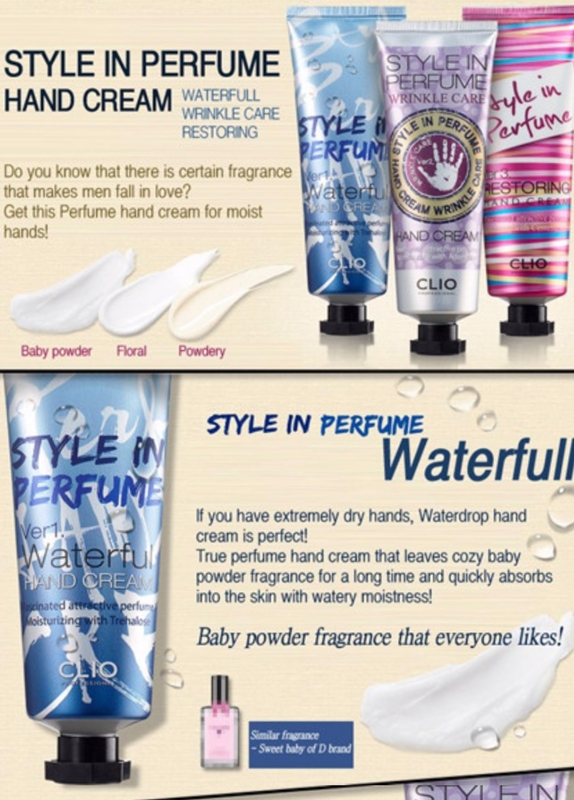 Clio professional is a brand for women, above the age of 20, explaining why they always take more “mature” models. They also have skincare products sold under “Goodal” and a younger, with a sweeter image, makeup collection under “PeriPera”. As you may know, I am quite addicted to hand creams. I have a drawer full, and I sometimes forget about them. 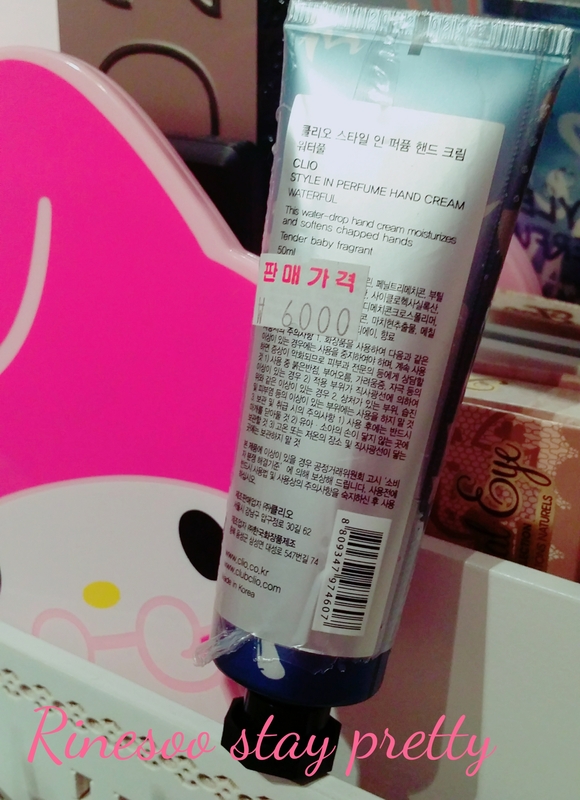 This is the case for this handcream : I bought this on my first ever trip to Seoul. But now it’s time to use it! This hand cream comes in a plastic tube which contains a pretty generous 50ml. This is wrapped in plastic, it does not come in a box. 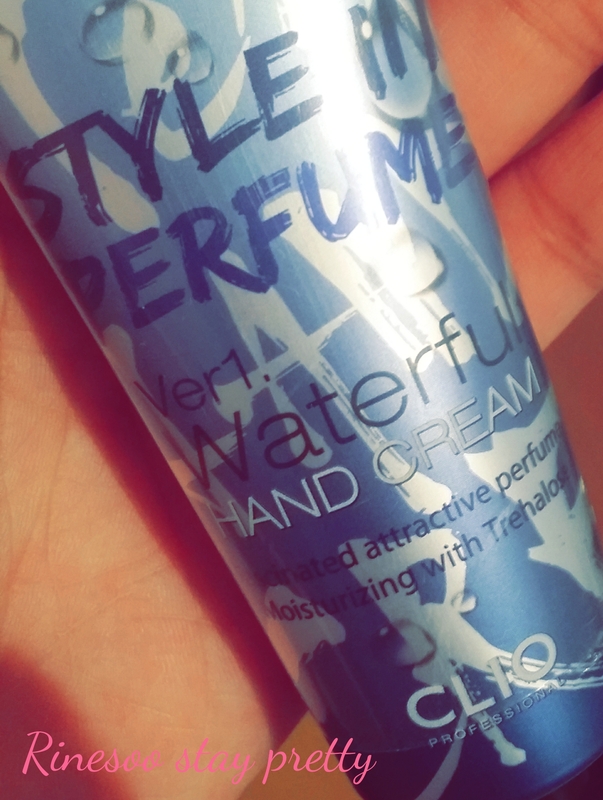 It’s in a blue shade packaging, to enhance the “water” aspect of this cream. This cost me 6000₩ back then. There is no explanation of the product in English, just Korean. What makes this cream so special, is the water effect. When I tried this in store, I remember saying “WOW!” Why? Because this cream turns into water when you apply it! This is how it first looks like : it’s in a whitish opaqye gel like texture. This is also scented, this one is “tender baby fragrant. It does smell like baby powder. 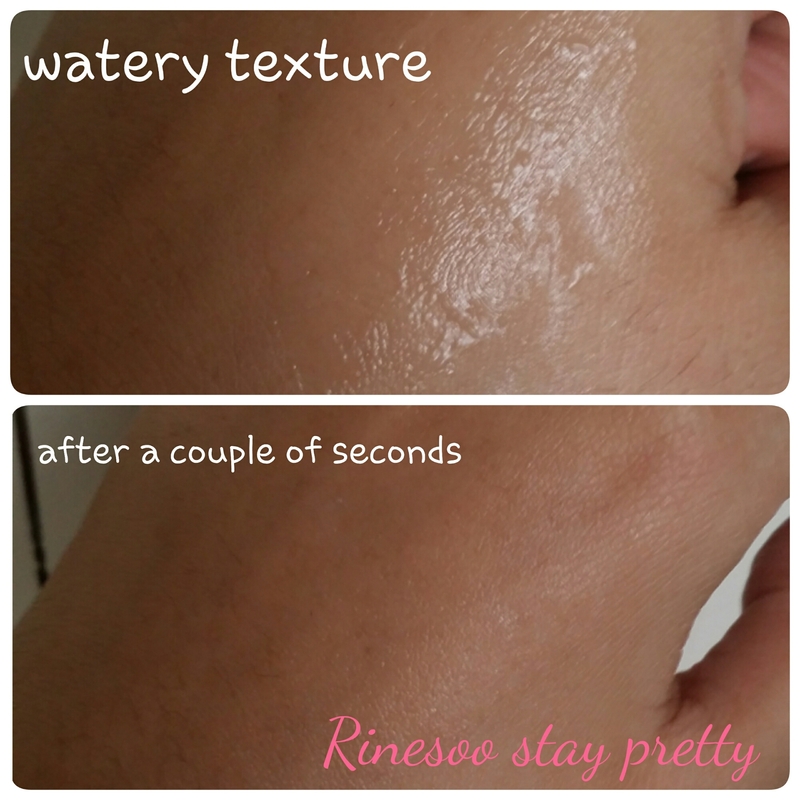 When you start spreading the cream, you’ll see the cream turn into a transparent and watery gel. You’ll sometime also see some water drops forming, it’s really magical! 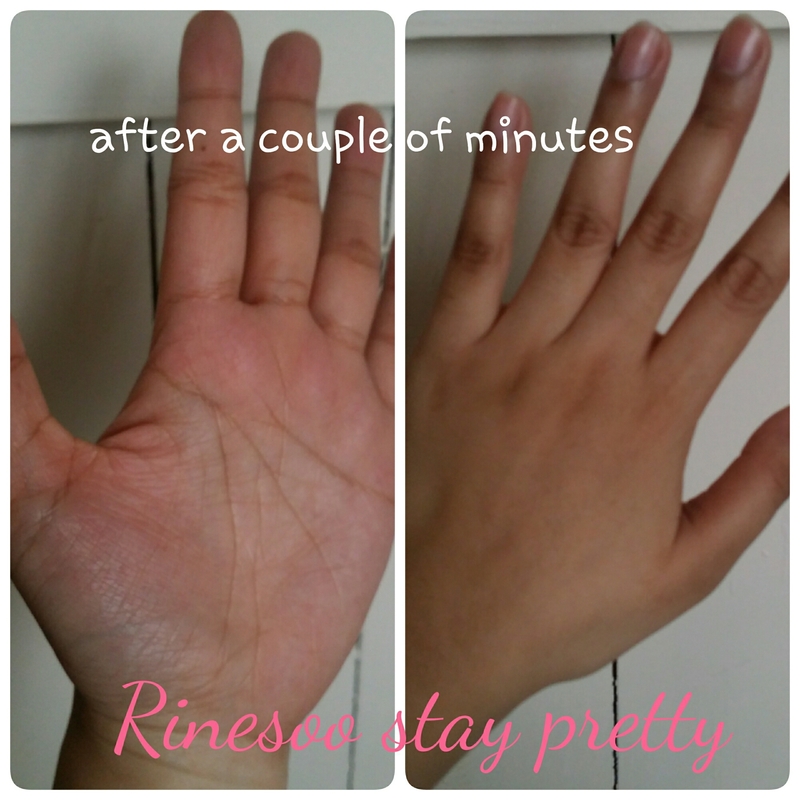 After a couple more seconds, it starts being absorbed and you have this dewy effect. After a couple minutes, your hands are completely dry and does not leave a greasy film! You can grab onto things easily and won’t end up with slippery hands. The scent stays there for quite some time, and your hands are soft. 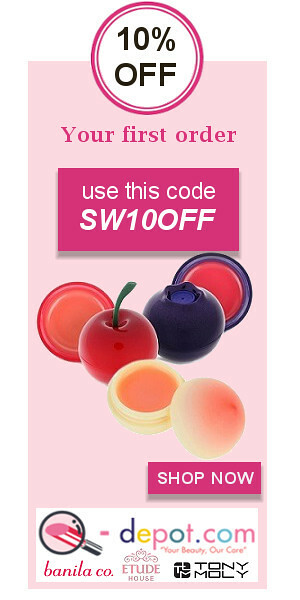 ♡I love the scent, baby scented products are usually winners in my book! 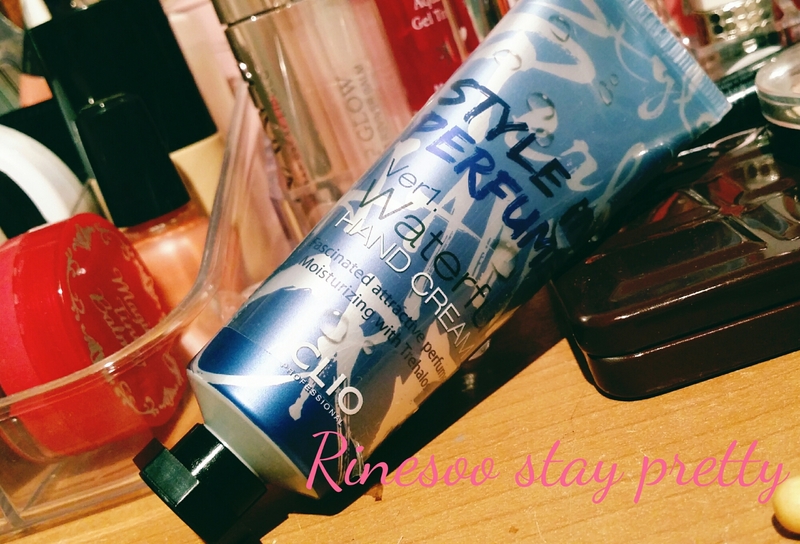 If you do have a chance at finding this cream, you should definitely try it out and experience the magic of a cream turning into water!